Join us on the court for a two-day basketball camps on July 12-13 to learn the fundamentals of shooting, passing, and dribbling. We will also work on social interaction skills through a variety of games and activities. 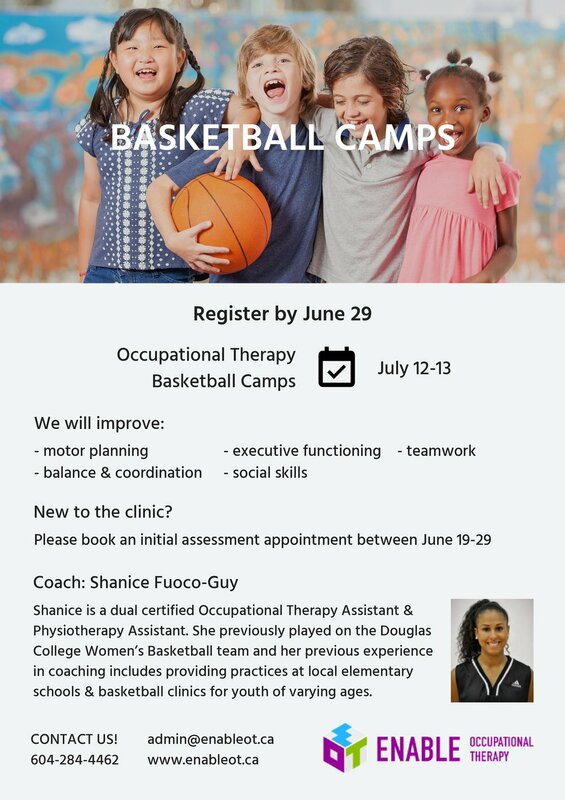 New clients will require a initial assessment prior to your child's acceptance into the camp. Autism and At Home Funding are accepted. Regular cancellation policy applies. No refunds are available after camp series begins.